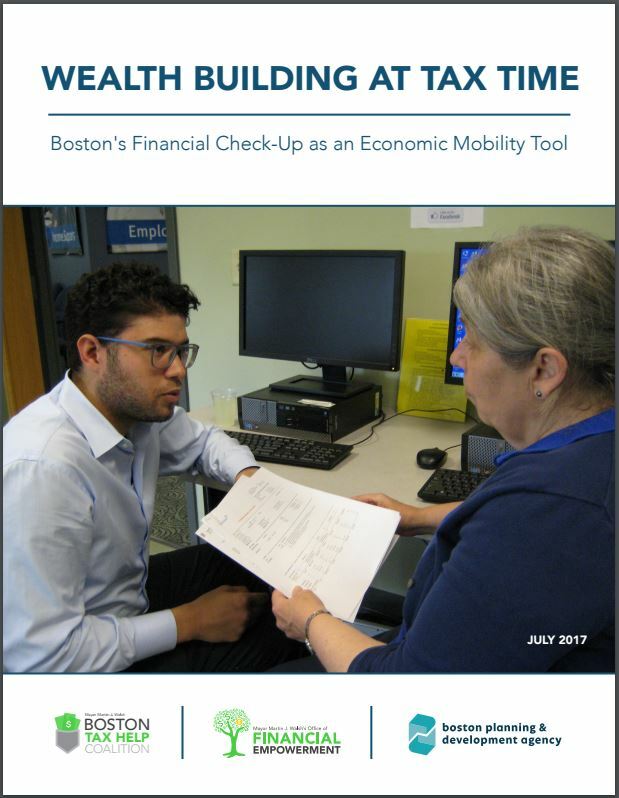 A study released today by the Mayor’s Office of Financial Empowerment (OFE) finds that the Financial Check-Up (FCU) – a light-touch, one-on-one credit review – can make a dramatic impact on residents’ financial well-being in a short amount of time. A randomized, controlled trial of hundreds of Boston taxpayers found that the FCU resulted in decreased debt, improved credit scores, and greater financial optimism. Volunteers and staff of the OFE’s Boston Tax Help Coalition provide the FCU to taxpayers as they await free tax preparation services. The FCU typically consists of a review of an individual’s credit report and FICO score, a personalized one-year financial plan to help improve his/her credit score, and relevant service referrals. Taxpayers from financially pressed groups – including public housing residents, parents, women, and people of color – lowered their credit card debt more than the control group. The report, prepared by Navin Associates, recommends the expansion of the FCU and its replication regionally and nationally. The OFE has begun providing the FCU outside of tax season to residents interested in improving their credit, often in conjunction with other goals, such as homebuying.